Preheat the oven to 175°C/350°F/Gas Mark 4. Place the pasta in a saucepan of boiling water for 10 min’s until soft. Place the egg, milk, butter and cheese into a food processor and pulse for a few seconds until fully mixed. 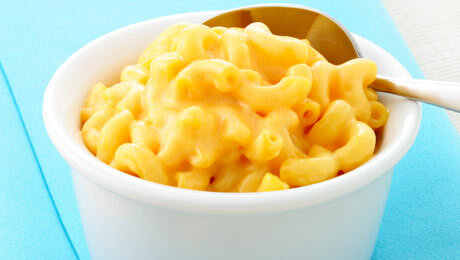 Add the macaroni and blend for a further 20-30 seconds until the pasta is chopped up to a size that suits your baby. Place the mixture in a oven proof dish, sprinkle with pepper and bake uncovered for approx 20 ins or until browned on top.